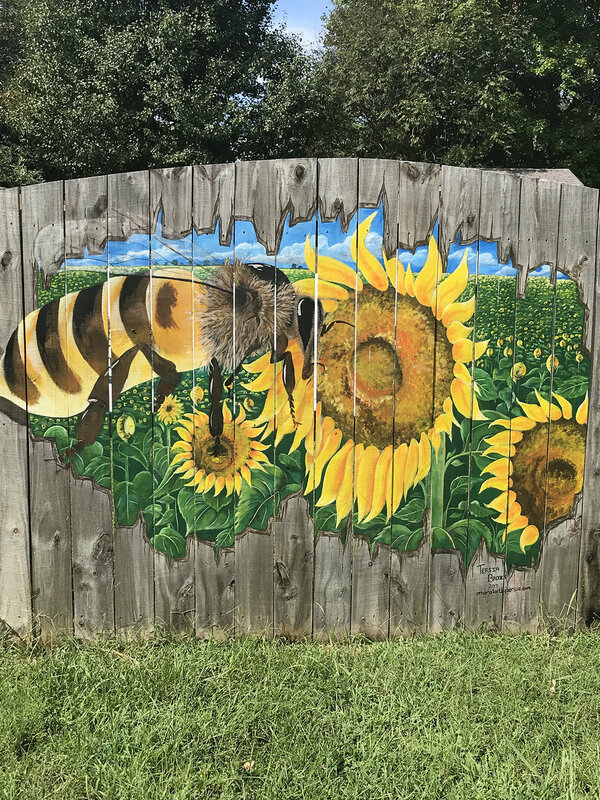 While scouting Little Free Libraries, this roving reporter found one with a particularly stunning backdrop, a mural of sunflowers painted on the homeowner's fence. 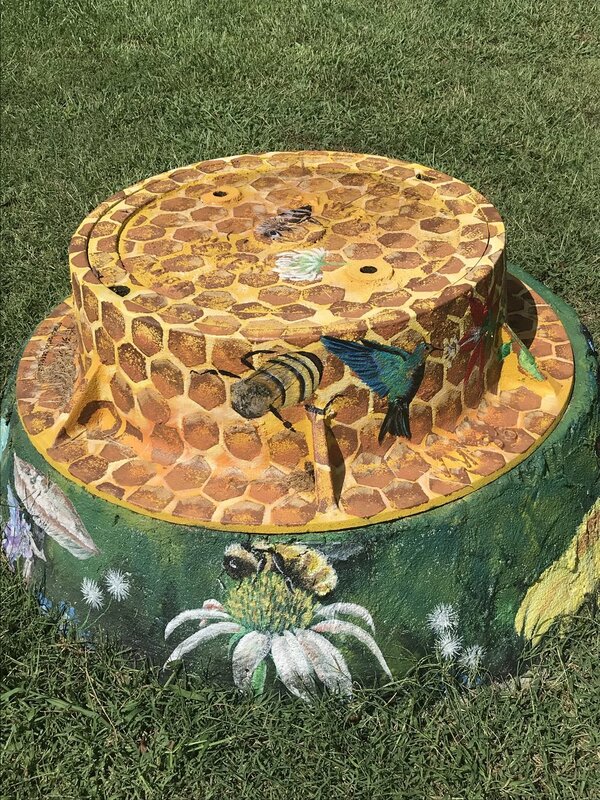 The mural “Bee Haven,” 1718 Privette Road, was created by Indian Trail artist Tersia Brooks whose Matthews-public artworks can be found on the obelisk at Country Place Park on South Trade Street and a turtle painting on a storm drain in Four Mile Creek Greenway. According to Tersia, “Bee Haven” represents what someone would see as if there was a hole in the fence, and is a nod to the pollinator passion of its owners and many others in Matthews, NC.